The Center for Security Studies (KEMEA) is a think tank on homeland security policies and an established research center since 2005 (L. 3387/2005) within the Hellenic Ministry of Interior (former Ministry of Public Order and Citizen Protection), aiming to support security policy implementations in Greece at a strategic level. More specifically, the activity of KEMEA includes a) the certification of practitioners of private security professionals at the national level, b) research and development in context of National and European projects in close cooperation with LEAs, working under the auspices of the Ministry of Interior and c) training of practitioners in new systems and technologies. The Center also provides advisory and consulting services to the Ministry of Interior as well as to other Public and Private authorities on safety and security issues. 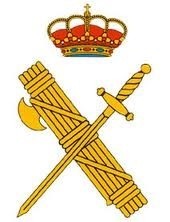 The Spanish Guardia Civil is an armed institution with military nature which is part of the State’s Defence & Security Corps and takes part of Security Bodies in Spain. As one of the national agents with responsibilities on security, the Spanish Constitution establishes as their prime mission to protect the free exercise of the rights and liberties of the Spanish people and guarantee security of the citizenship, all of it under the responsibility of the Spanish Government. It is dependent from Ministry of Interior with regard to services, salaries, destinations and means, and from Ministry of Defence with regard to promotions and missions of military nature. Besides, Guardia Civil deals with necessities of the Treasury Ministry related to the financial prosecutions of the state and watch over fulfilment of the rules and regulations related with the different organizations of Central and Autonomous Communities Administrations. Entente pour la Forêt Méditerranéenne (EPLFM) is a government organization, coordinating the efforts of the 14 departments most affected by natural hazards of the South of France covering 4 regions: Provence Alpes Côte d’Azur, Languedoc-Roussillon, Corsica, and Rhône-Alpes. The CEREN, was officially created on May 16, 1979 as the Test and Research Center of the ENTENTE, it is in charge of carrying out all the necessary tests in the area of Civil Protection, for the implementation of new systems and for their efficiency evaluation. These tests and experiments can be directly ordered either by the Entente/CEREN, by the Directorate of Defence and Civil Protection or by other Government Organisations. CEREN mostly deals with applied research, which is directly useful for Civil Protection users. The CEREN also collaborates with many researchers, industrial companies and users at a national and international level. It is in this context that we have initiated and participated in many European Research and Development programs. The Ministry of National Defence (Ministério da Defesa Nacional or MDN) is a Portuguese government ministry and supervises the Naval’s Research Center (CINAV) operations. 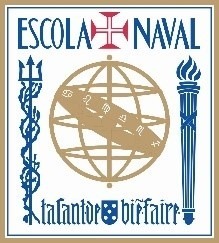 CINAV (the Portuguese Navy’s Research Centre) was created in 2010 to coordinate the various research projects in which the Navy participates, and to support the research conducted by the faculty of the Naval Academy, where CINAV has its offices. It currently has 7 research lines, in the following areas: Signal Processing, Decision Support Systems, Mobile Robotics, Maintenance Engineering and Management, Maritime History, Maritime Strategy, and Naval Health. It has 15 permanent members that hold PhDs (mainly faculty from the Naval Academy), and over 50 associate members (mainly naval officers involved in research projects). Its research projects cover a wide range of areas and go from theoretical research funded by the Portuguese Science Foundation, to more applied research funded by various national and European agencies, to very applied research (demonstration and testing) funded by the Navy itself. 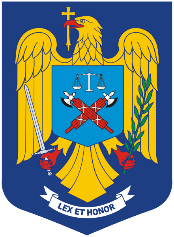 Inspectoratul General al Politiei Romane (EN: General Inspectorate of Romanian Police) is the central unit of Romanian Police with general territorial competences. It leads, guides and controls all the police units within the country, investigates serious crimes related to organized crime groups, cybercrimes, money laundering, financial or bank fraud or other crimes, which are under the competence of the General Prosecutor’s Office. Thus, IGPR commands and employs over 55.000 police officers. In order to fulfil its role of preventing and fighting crime and other anti-social events, Romanian Police has developed specialized structures that support the investigation. In this respect, according to the competences provided by the law, some of the directorates which function under IGPR have specific tasks in conducting special operations, intelligence analysis, special intervention and IT&C support and analysis. 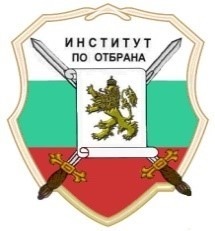 The Bulgarian Defence Institute “Professor Tsvetan Lazarov” is the main scientific-research, testing-design and expert-technical structure in the Ministry of Defence of the Republic of Bulgaria. Bulgarian Defence Institutes’ work is focused to: (a) Scientific-research activities, scientific-practical activities, development and experimental design activities in the sphere of Armaments, C4I Systems, Military Techniques, Logistic Equipment and Materials. (b) Support to the Analysis of the situation of the Armaments, C4I Systems, and Military Techniques, Logistic Equipment and materials and working out of perspective prognoses on their development. (c) Support to the Integrated Project Teams through taking part in the preparation, scientific monitoring and complete implementation of the defence programs and projects. (d) Reproduction of scientific personnel through education in doctoral programs, their development and creation of scientific-technical for needs of the Defence System. (e) Support and ensure of scientific-technical consultations by experts for the needs of the Armaments Council and the Defence Capabilities Council. 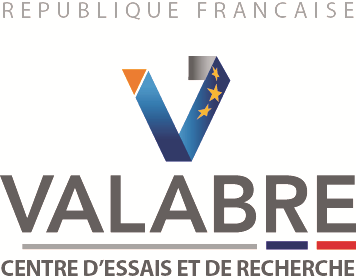 (f) Cooperation in the sphere of research works, development, testing and certification of the defence products in the frameworks of NATO, The European Union, as well as on bilateral basis and in national aspect. (g) Working out technical specifications and expertise, programs and methods for testing, as well as standardization and other documents, related with the acquisition of defence products. (h) Preparation and performance of laboratory, functional, acquisitional, field and other testing of armaments, C4I systems, Military techniques, Logistic equipment and materials. (i) Treasure, acquisition and development of the departmental standards. (j) Certification of Quality Management Systems in accordance with NATO Standards, guaranteeing of the quality and assessment of the compliance during the acquisition of defence products. (k) Ensuring of air safety and flying suitability of the military aerial vehicles, as well as of the aerial vehicles of the Ministry of the Interior. The Ministry of Maritime Affairs and Insular Policy supervise the Hellenic Coast Guard (HCG) operations. 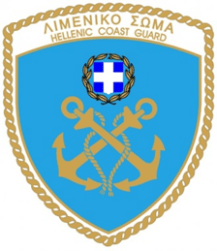 The basic roles and missions of the Hellenic Coast Guard, as the correspondent national competent authority for them, are: law enforcement in ports, coasts and territorial waters, patrolling and sea border protection, migratory flows management illegal immigration prevention, vessel traffic monitoring and surveillance, search and rescue in its area of jurisdiction, maritime safety, safety of navigation, environment protection related to sea pollution prevention, fishery patrolling, drug and smuggling interdiction etc. Furthermore, the HCG has a crucial role as the competent administration and the policymaker in the field of maritime industry and shipping. Also, it represents Greece in International Organizations and the European Commission for issues related to all the above-mentioned roles. Therefore, the HCG with its large area of activities today incarnates an essential social role in everyday life of Greek citizens and people protecting their security, safety and interests. THW is a federal German agency performing the following tasks: ● Provide technical assistance within the framework of CP; ● Provide technical assistance on behalf of the Federal Government of Germany; ● Provide technical assistance within the framework of disaster control, public emergencies, and large-scale accidents at the request of the authorities in charge of hazard control, in particular in the field of recovery and repair. 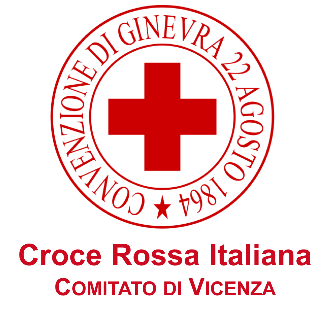 It is one of the most modern relief organisations worldwide and participates in the worldwide intermeshing of all relief organisations as an internationally active operational organisation. Since it was founded in 1950, THW has grown into an essential part of Germany’s defences against all sorts of danger. Today as a competent partner, THW is assigned a sustaining role by the United Nations as well as in the European Union. General Maritime Directorate-Albania is a governmental institution that guarantees sovereignty and sovereign rights of the Albanian state in the maritime space through an integrated management of national sources of the institutions that are responsible and have sea interests. General Maritime Directorate is the Maritime Division of the Ministry of Transport and plays the role of Albanian Maritime Administration as Flag, Port and Coastal State covering all safety and security issues regarding Maritime Field. All maritime operations realised in the Republic of Albania and Safety and Security on board the vessels as well as the open maritime ports in the Republic of Albania as per International instruments SOLAS covering major roles of the Albanian Maritime Administration as Flag State, Port State and major issues as Coastal State. The Hellenic Ministry of Defence (HMOD) applies the Government’s National Defence Policy. HMOD implements interventions focusing on the facilitation of the interaction with citizens like the digitalization of recruitment archives and services, the generation of digital charts and weather reports, and also incorporates departments and units that address social issues like public protection, crisis management, humanitarian aid and social and environmental research. Therefore, HMOD today incarnates a very important social role in everyday life of Greek citizens and people. HMOD is a public authority – as of the latest act of Presidential Decree 35/1995- primarily involved in the execution of the maritime surveillance, control and protection functions at national and/or regional level related to defence, while contributing with its personnel and assets in additional tasks, related to accident and disaster response, search and rescue etc. ISDEFE comes to life in 1985 as a Public Mercantile Society, to support the Spanish Public Administration both at Spanish and European level and with the objective of providing technical engineering support and consulting services for advanced technologies in the Defence and Civil sectors. The company has grown as a reliable ally for the Spanish Government and has developed a line of work as an independent technical support and consultancy services provider in the areas of Defence and Security, and in particular in Border Management and Surveillance, Transport Systems, Information Society Technologies and Communications. ISDEFE has no commercial or industrial interest in the object of the contract to be carried out under the PCP, as it was established from its origins for the specific purpose of meeting needs in the general interest. 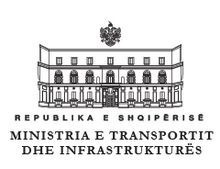 ISDEFE is subject to management supervision by the State Authorities as it reports to the Secretary of State for Defence through a Board of Directors, comprised of Defence Ministry Advisors (Central Units and Armed Forces), the Ministry of Development and the Ministry of Economy and Taxation. The Centre for Risk and Decision Sciences (CERIDES) provides a holistic offer to the academic and business world. The Centre is based on the offering of educational (taught), research and consulting solutions. The Centre has emerged from the synergies that have been identified between the Centre for Risk, Safety and the Environment (CERISE) and the Decision Support and Systems Optimization (DSSO) Laboratory and operates under the auspices of European University Cyprus. It is the first cross-disciplinary, cross-School Center of Excellence of European University Cyprus. 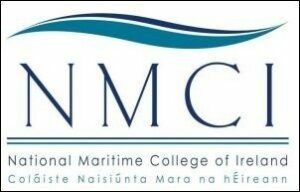 The Cork Institute of Technology is one of Ireland’s premier Technical institutes and provides education, training and research in a diverse range of disciplines with a particular reputation for engineering, electronics, nautical studies and the practice of music and art. CIT is located over four separate campuses. The main campus is situated on the West of Cork city and covers an area of approximately 80 acres. The main campus is home to CIT’s technical, engineering and business activities. The other CIT campuses are The Crawford College of Art and Design, located in Cork city centre, the CIT Cork School of Music located in a purpose-built state of the art facility also in Cork city centre and the National Maritime College of Ireland situated in the heart of Cork Harbour. CIT across all its campuses has in the region of 12,000 registered students with approximately 2,000 new entries year on year. Of these approximately 9,000 are full-time and the remaining are part-time. CIT has 1,425 staff members of which 824 are academic staff. ZAKA, a UN-recognized international humanitarian volunteer organization, operates a platform of over 3,000 search and rescue professionals in 22 countries worldwide – on call 24/7, ready to respond to major international disasters. 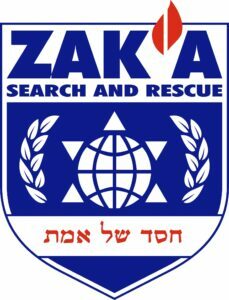 ZAKA sends highly trained volunteers to assist in international disasters and works on site in conjunction with other civilian and military emergency personnel. In recognition of the organization’s exemplary humanitarian work, ZAKA received official Consultative Status by the United Nations in January 2016, serving as an advisory body to the Economic and Social Council (ECOSOC). The organization takes an active role in discussions, conferences and meetings related to disasters, sharing best practices with other international emergency bodies. The German Council on Foreign Relations (DGAP) is Germany’s network for foreign policy. As an independent, non-partisan, and non-profit membership organization, think tank, and publisher the DGAP has been promoting public debate on foreign policy in Germany for 60 years. The DGAP’s goals are: • to promote and contribute to foreign policy debate in Germany, • to advise decision makers from politics, business, and civil society • to inform the public on foreign policy issues • to strengthen the German foreign policy community • to advance Germany’s foreign affairs status in the world. The European Organisation for Security (EOS) has a long-standing history on European funded projects, as a Coordinator and as a Partner. Our experience on Dissemination and Communication or Exploitation sections or proposals and projects have been established from projects like ARCHIMEDES, CAPITAL and POP-Alert. In this project EOS will develop a comprehensive and solid Dissemination and Communication Strategy which will be a living document, updated yearly. In addition to this, EOS will prepare an exhaustive list of target groups for the purposes of establishing a pool of relevant stakeholders for this project. EOS will also contribute to the SOTA section, with specific expertise on Northern Africa and sub-Saharan conflicts and will also be involved in the policy WP for better alignment with the policy environment of the European Commission, European Parliament and EEAS. In terms of policy development, EOS has had a significant role in the development of a consolidated strategy for border management throughout the EU and bridging the gap between the European security industry and EU bodies. The European Union Satellite Centre (EU SatCen) is an Agency of the Council of the European Union (EU) whose mission is to support the decision making and actions of the EU in the field of the Common Foreign and Security Policy (CFSP) and in particular the Common Security and Defence Policy (CSDP), including EU crisis management missions and operations, by providing (at the request of the Council of the European Union or the High Representative of the European Union for Foreign Affairs and Security Policy) products and services resulting from the exploitation of relevant space assets and collateral data, including satellite and aerial imagery, and related services. As such the EU SatCen is an institution linking Space and Security with technical and operational expertise as key primary user of satellite data as well as product and service provider in the framework of the Common Foreign and Security Policy. The staff of the European Union Satellite Centre consists of experienced imagery analysts, geo-spatial specialists, project engineers and supporting personnel recruited from EU Member States; the EU SatCen also hosts seconded experts from EU Member States and Third States. The European Union Satellite Centre headquarters is located in Torrejón de Ardoz, in the vicinity of Madrid, Spain.